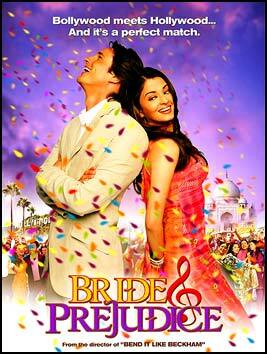 If you want a taste of Bollywood meets Jane Austen, I heartily recommend this wonderful film. Is it lasting cinema? No. But it's probably the most fun you'll have watching stunningly beautiful people sing and dance in houses, on the streets and on the beach. Watch it when you need a popcorn movie and to dance along with the music. The story is based loosely on Pride and Prejudice, but that's not important. What's important is the singing and the dancing and the beautiful costumes. 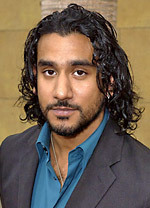 Naveen Andrews--who dances like a maniac in this. And I prefer to assume it wasn't a stunt double doing it. Not fully Bollywood. But it'll give you a taste of what it's about. And remember the movie's money quote: You know what they say. No life without wife. I really enjoyed this movie too, So much fun. This page contains a single entry by MamaT published on March 28, 2007 7:45 PM. A review I've long needed to write..... was the previous entry in this blog. Books #8-17 of 2007 is the next entry in this blog.